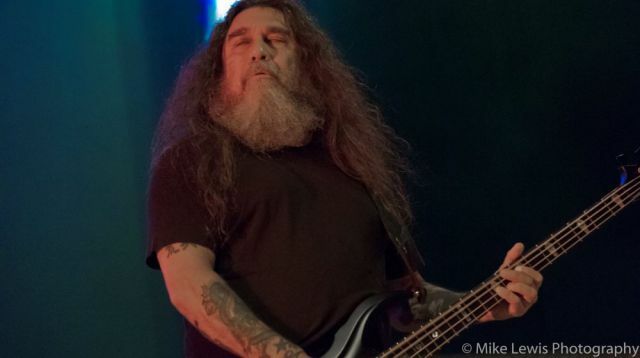 Slayer continue to be 'Repentless' about their decades of aggression. 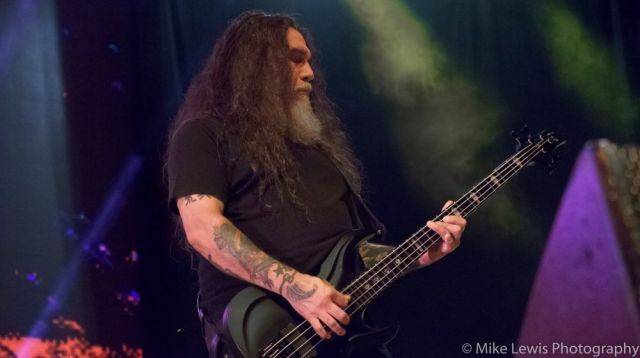 By RUBEN MOSQUEDA // Slayer whose core is bassist vocalist Tom Araya and guitarist Kerry King have continued to be a force to be reckoned with and their show in Portland showcased that. 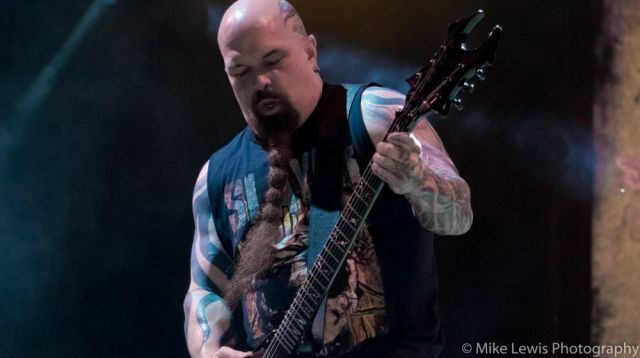 The sold out Slayer show at The Roseland on March 20th was a sign that the concert summer season will be in full swing in the coming months. The venue was packed to the gills with wall to wall old school rivet heads, heshers (kids that look 80s but weren’t there), ‘Jonny Rock ‘n’ Roll’ scenesters and the average blue collars. They all came together for a night of violent, friendly fun. Carcass warmed up the audience with the brand of melodic death metal; bassist and vocalist Jeff Walker sat on a stool for the duration of their set after having broken his foot the previous day is Seattle. Carcass landed the coveted slot opening on this tour; promoting their latest album ironically titled ‘Surgical Steel.’ Overall Walker and Co received a lukewarm reception; perhaps the audience didn’t know the band’s history or importance in the subgenre? I remember going through 3-4 cassettes (remember those?) of their signature album ‘Heartwork’ back in the day. At the tail end of their set Walker thanked the audience to being understanding of his injury; he asked the audience to be more mindful of people who are handicapped. He followed it up with “It’s days like this that I’m glad I’m not in Megadeth.” I wasn’t really sure what that meant. At the conclusion of Carcass’ set Walker left the stage using a ‘walker;’ that just writes itself. The energy rose two (possibly three) fold when Testament hit the stage for their 40 minute set. Clearly the audience was more familiar with their work judging by the reaction of attendees of the opener “D.N.R.” Chuck Billy immediately proceeded to ‘air guitar’ along to the guitarists Alex Skolnick and Eric Peterson’s grinding riffs; while grinning from ear to ear. Steve DiGorgio and Gene Hoglan’s grooves and percussive blast broke through the titanic wall of sound throughout their set. Easily the standouts of the Testament set were; “Rise Up,” “Practice What You Preach, “Into The Pit,” and the closer “The Formation of Damnation. Having raised the ‘watermark’ and energy level it was time for Slayer who last came through town with Rob Zombie in the summer of 2011 when they co-headlined and played at the Memorial Coliseum. It hard to believe that it’s been that long and that Exodus guitarist Gary Holt has been in the band for that amount of time. Slayer are promoting their latest effort 2015’s ‘Repentless;’ their first without the late Jeff Hanneman and first with Holt. 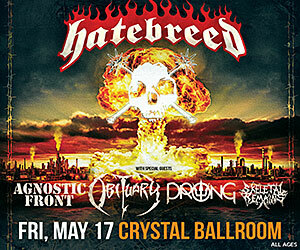 ‘Repentless’ also marked the return of drummer Paul Bostaph who replaced Dave Lombardo for the second time.